I haven’t posted any recipes on my blog for quite a while, so let’s start the new year with one, shall we? I am not what you’d call a “foodie”. My favorite recipes are those with very few ingredients, and I tend to prefer it if some of those ingredients are canned or premixed things. I like a recipe with very few instructions as well, and one that doesn’t use many dishes. A recipe with “Easy” in the title is very good. Actually, my VERY favorite recipe would be Not Cooking. But that’s usually not an option. Sigh. Now, that is an easy recipe! Take five or so frozen chicken breast tenderloins and stick them in the crock pot. Throw on top of them: some brown sugar and the contents of an envelope of Italian dressing mix. Isn’t that lovely? I served this with frozen broccoli and boxed noodles (Pasta Roni “Angel Hair With Herbs” flavor). Almost as easy as Not Cooking, but not quite. I do have to cook so the people in the house don’t starve. The trouble is, I really HATE meal planning. I know people who have wonderful little calendars planned out with each meal for the week all written down, and they buy all the ingredients in advance to fit each dinner so that both grocery shopping and cooking are a model of efficiency. And whenever I try to assign certain meals to certain days of the week I feel trapped and suddenly lose my appetite for whatever I’ve planned. It feels like Food Slavery to me. But of course, we have to eat SOMETHING. When I get back from the store and start putting away all my random purchases, I make list of all the meals I can possibly make from the stuff I just bought. I post the list on the refrigerator. Then when it’s time to make dinner, I can look at the list and pick something, crossing it off after I make it. Don’t say I never put anything practical on this blog. Have you SEEN my new recipe tab?! 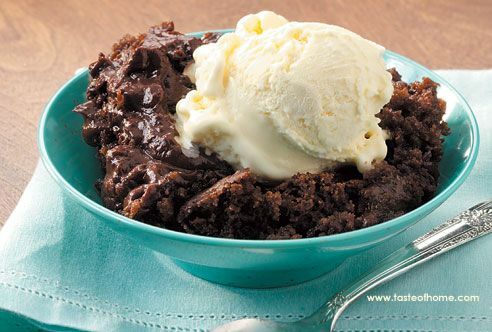 Posted on March 31, 2014 Categories FoodTags dessert, recipeLeave a comment on Chocolate Pudding Cake… in the CROCKPOT! This is a Barefoot Contessa recipe I made last week. Delicious! Of course, my version was slightly less pretty. And I took out some of the complications. Place the shrimp in a mixing bowl and toss gently with the olive oil, wine, 2 teaspoons salt, and 1 teaspoon pepper. Allow to sit at room temperature while you make the butter and garlic mixture. Pour the remaining marinade over the shrimp. Spread the butter mixture evenly over the shrimp. Bake for 10 to 12 minutes until hot and bubbly. If you like the top browned, place under a broiler for 1 minute.